Some were very funny while others-- well, those were just plain weird. You know those things you do when you think nobody is looking? Well, people took to social media to share their weird secrets and they are scarily relatable! 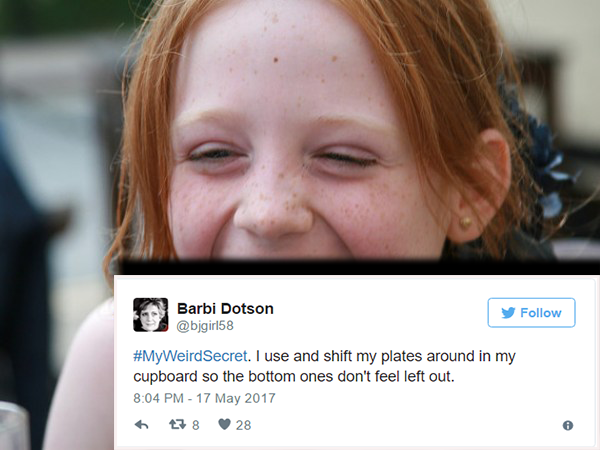 Using the hashtag, #myweirdsecret, people shared funny, weird or embarrassing secrets about themselves. Some were very funny while others-- well, they were just plain weird. The hashtag was a part of a Jimmy Fallon show insert, where he usually asks people to share things about themselves using the hashtag he would provide that week. Do you have any weird secrets?